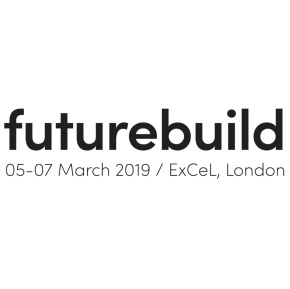 Closer collaboration between RCM, SPSenvirowall and SPS Facades will see the sister companies jointly exhibiting at Futurebuild 2019. The exhibition, at London’s ExCel on 5 – 7 March, will feature the three companies, who are all part of the Benx group, on stand D72. Futurebuild 2019 was chosen as the ideal venue to announce the greater integration between RCM, SPSenvirowall and SPS Facades. Futurebuild is the evolution of Ecobuild; it will act as a unique destination for visitors to gain unrivalled insights and hands-on experience around the latest innovations, products and materials. Following last years’ successful event, RCM has decided to yet again showcase its portfolio of building boards, facades, airtightness solutions and complete through wall solutions; the difference being, this time, it is joined by SPSenvirowall and SPS Facades. By working closer together, the three companies will open up a joint portfolio of high-quality innovative products and services meeting the needs of different sectors across the construction industry. Customers will be able to choose from a wide array of products for the building envelope. To celebrate this new and exciting venture, a brand new shared 50 square metre exhibition stand has been specially commissioned. The eye-catching stand will showcase 360-degree interactive displays from both RCM and SPS, comprising a selection of their joint portfolio materials. A certified 120-minute fire-rated through wall solution will also be on display. Visitors will have the opportunity to inspect these displays to pick up a better idea of how different products integrate with each other to form a solution. Dynamic Cladding, offered exclusively by SPS Facades and RCM’s popular Supertech Weatherboard cladding will also be featured, highlighting some of the great choice of façade options available. As part of product development for 2019, RCM will introduce a number of products including a cassette system and aluminium planking at the show. SPSenvirowall will showcase its new Cavity System 1 & Cavity System 2. Cavity systems are extensively used on lightweight framed structures to create a void between the cladding and the sheathed framed structure. Ian Quinton, Managing Director at RCM, commented: “RCM are very much looking forward to exhibiting at Futurebuild 2019. “These are exciting times for RCM and our sister companies SPSenvirowall and SPS Facades. Our closer integration will benefit our customers by being able to offer a much greater choice of solutions. “As our products are compatible with each other, the range of services we will be able to offer will greatly reduce the complexity of the customer’s supply chain. “Another great advantage of this collaboration is the ability to offer combined logistics, utilising nationwide depots, allowing for just-in-time deliveries, thereby gaining greater flexibility. Mitch Gee, Commercial Director at SPSenvirowall, said: “SPSenvirowall and SPS Facades are pleased to be exhibiting alongside sister company RCM at Futurebuild 2019.